The weather has been extremely hot for the past few days but there is another heat wave been hitting on another hot project development at Petaling Jaya – Sunway Serene Residence, the latest masterpiece from Master Community Developer, Sunway Property, which is located in the mature neighbourhood of Petaling Jaya, has more than 8,000 registrations in less than a month after its registration exercise recently and it received hot response from over 5,000 visitors at its sales preview. 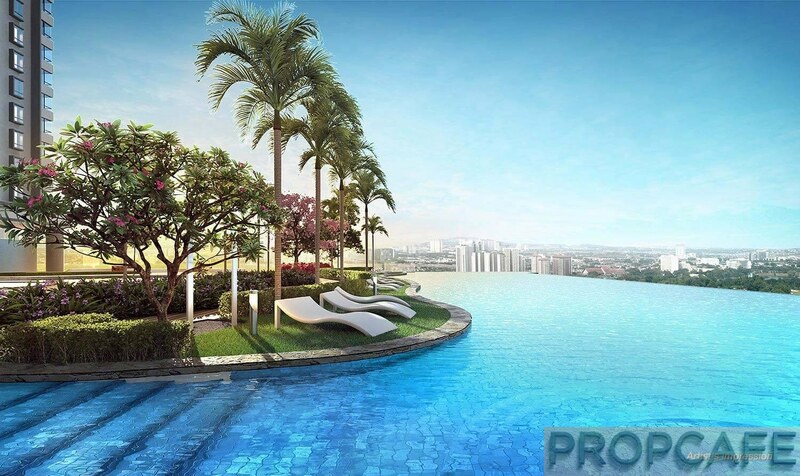 Sunway Serene Residence is Sunway Property’s latest development which is anchored on the placemaking philosophy in the heart of Petaling Jaya. The placemaking philosophy capitalises on the community’s assets, inspiration, and potential, with the intention of creating public spaces that promote people’s health, happiness, and well-being. 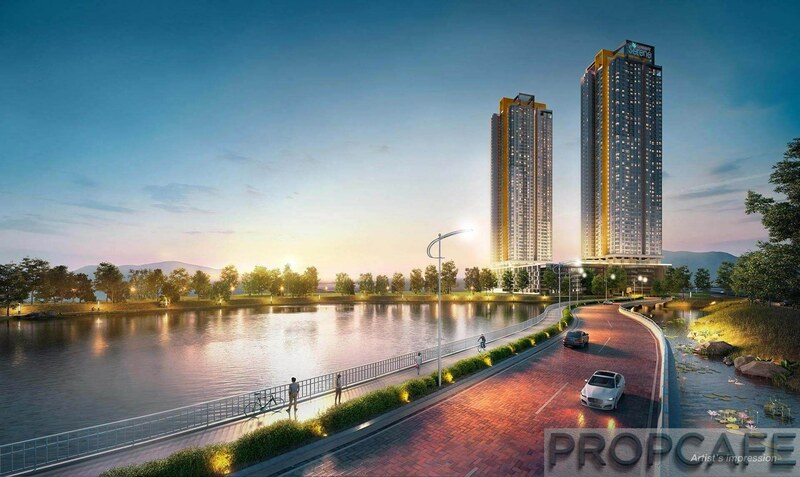 The development which provides the residents a lakeside living experience, spans across 17 acres and is enveloped in an exquisite nature with an estimated GDV of RM2 billion. 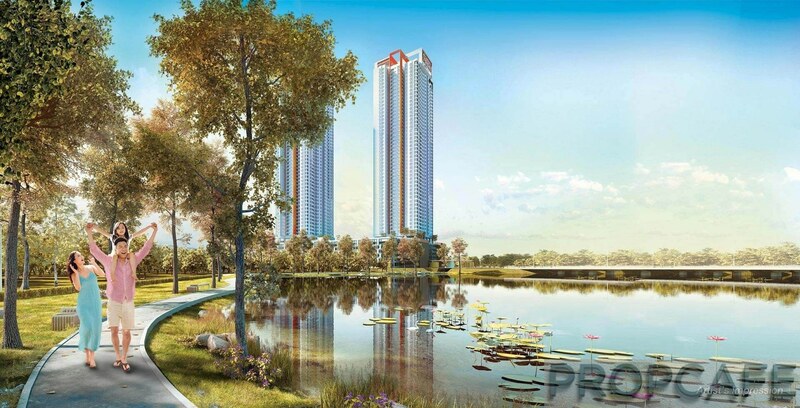 Sunway Serene comprises of bungalows and semi-D’s in the sky which overlooks the adjacent 15-acre lake and the lush greens of the 18-hole Subang National Golf Club. The first phase of the development has two towers, Tower A and Tower B. The entire development will house more than 50 facilities for residents to encourage community-based activities which centres around active and healthy lifestyles. One of the main highlights of the development will be its 24-hour infirmary operated by Sunway Medical Centre where a registered nurse is stationed at the infirmary to meet the need of the residents of all ages; from infants to the elderly within a safe and secured surrounding of the development. The nurse will be able to treat minor conditions like fever, cough, gastric, sore throat, and diarrhea. In addition to convenient round the clock healthcare, the infirmary will also provide health screenings for blood pressure and glucose checking. The development will house an innovative first-of-its kind four-acre facility deck on Level 6. 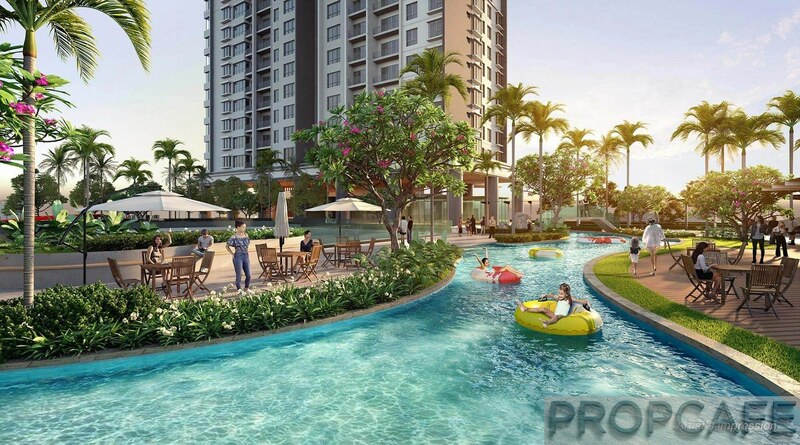 The facility deck will house the longest lazy river to be built for residential development in Klang Valley measuring 210 meters long, and a mini water play to be built within a development. Within the deck, outdoor facilities include an Olympic length infinity swimming pool spanning 50 metres in length, a herb reflexology garden, a multipurpose court, an open lawn, multipurpose hall, pavilion, BBQ terrace, pool sun bed, pool viewing lounge, play area, mini water play area, cabana lounge, hammock garden, reading and leisure pod, a curvy bridge and a linear yard garden. Indoor facilities on the same deck will include games room, prayer rooms, management office, changing rooms, gym, function rooms, a library, yoga room, lounge area, multipurpose room, theater room. 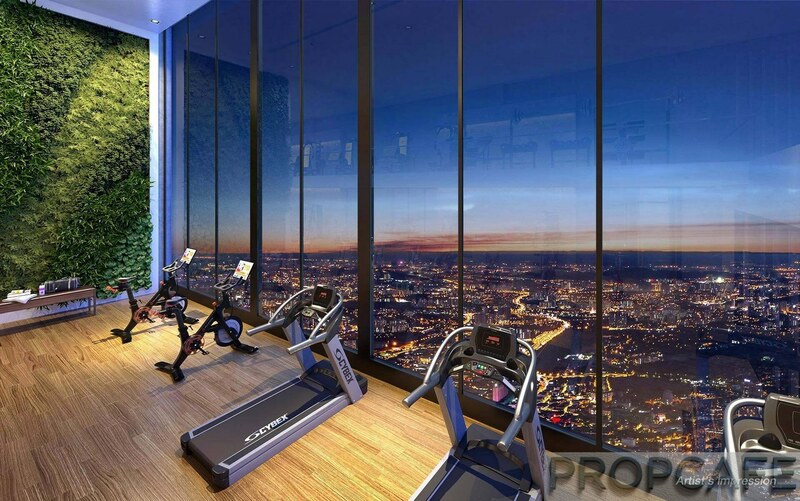 Additional facilities include a sky gym and sky Jacuzzi on Level 50 Tower B. There will be a sky lounge at Level 51, Tower A and an observation deck at the roof top. 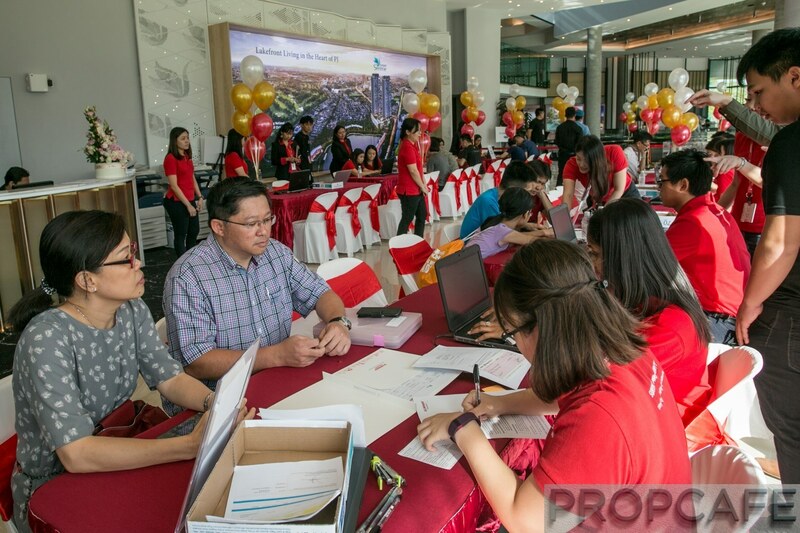 Despite the plethora of facilities, the developer will be keeping the maintenance fee low, at RM0.26psf to deliver exceptional value to the residents. 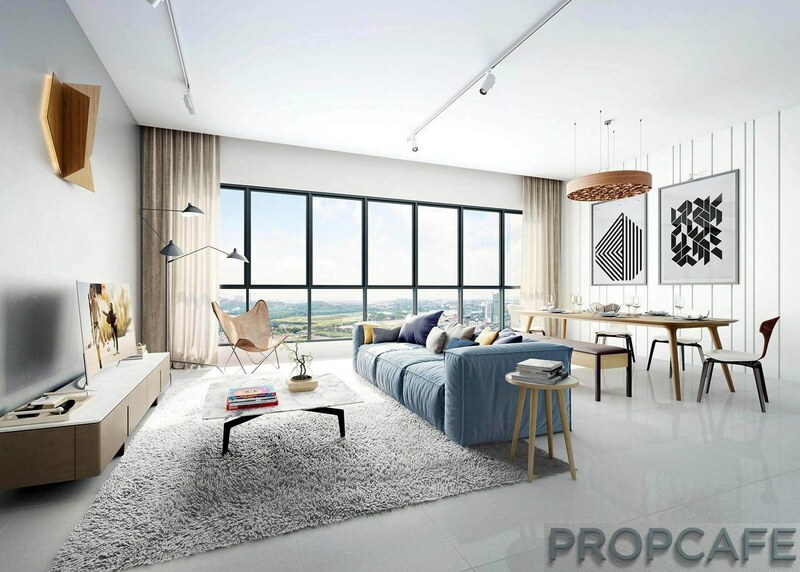 Located in the mature neighbourhood of Kelana Jaya, a stone’s throw away from a host of facilities and amenities, the development is also a mere three kilometres away from Sunway’s flagship township, Sunway City. Sunway City is home to over 7 million sq ft of world-class facilities, including educational institutions, Sunway Medical Centre and the Sunway Pyramid Mall. 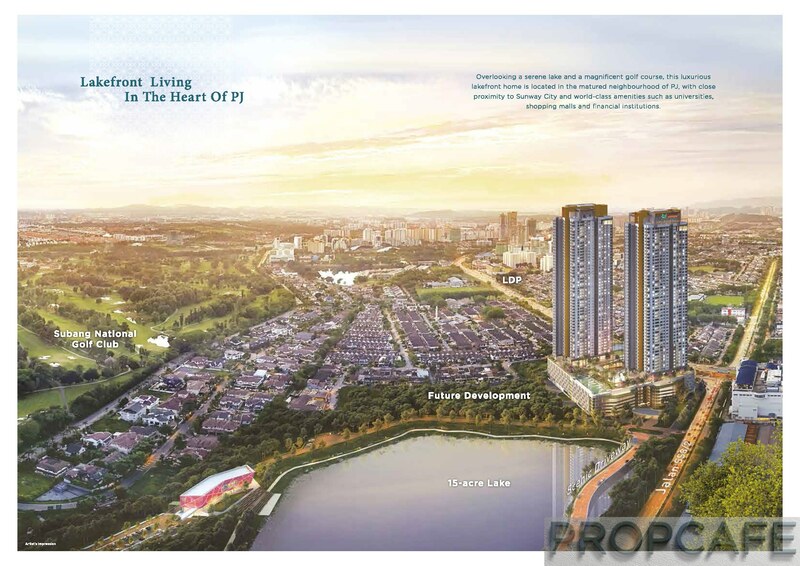 The development is easily accessible and well connected to five major roads and highways such as the LDP, Federal Highway, NPE, NKVE and Kesas, and next to the Setia Jaya BRT & KTM stations & Glenmarie and Kelana Jaya LRT Stations. It is also located closely to the Sultan Abdul Aziz Shah Airport (Subang Airport). Besides, prominent areas such as Petaling Jaya and Kuala Lumpur can be accessed via toll-free routes from Sunway Serene. To enable further accessibility, a 250m long paved direct scenic driveway is built specially to those who are heading to the residences. The driveway is believed to reduce traffic at the area and drivers moving towards the development will not be caught in the peak hours’ traffic. 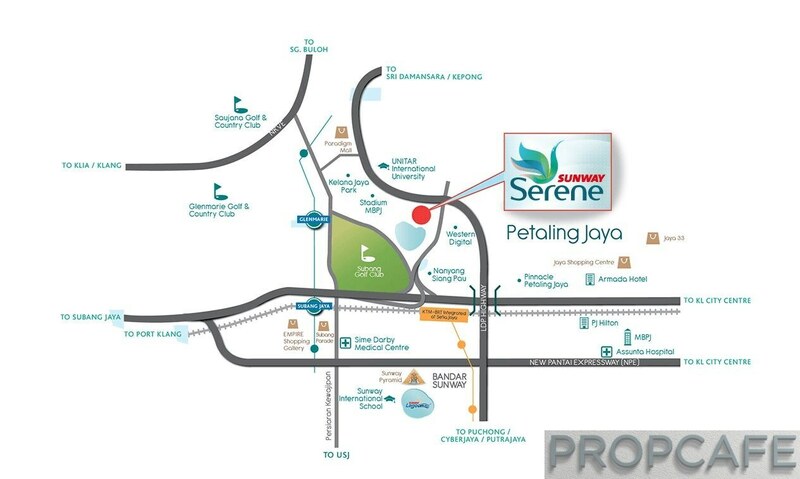 Starting prices for Sunway Serene Residences are from RM 807,000. For convenient purchase, Sunway Property is offering the Sunway Certainty Plus which offers a guaranteed loan, low down payment & deferred payment till June 2020. Extending beyond the development, the developer has also invested in beautifying a 15-acre public lake. The lake was transformed from a waste pond into a beautiful scenic community lake, suitable for community and recreational event. Sunway has also built a 1.2 km jogging track for the enjoyment of the residents as well as the public. 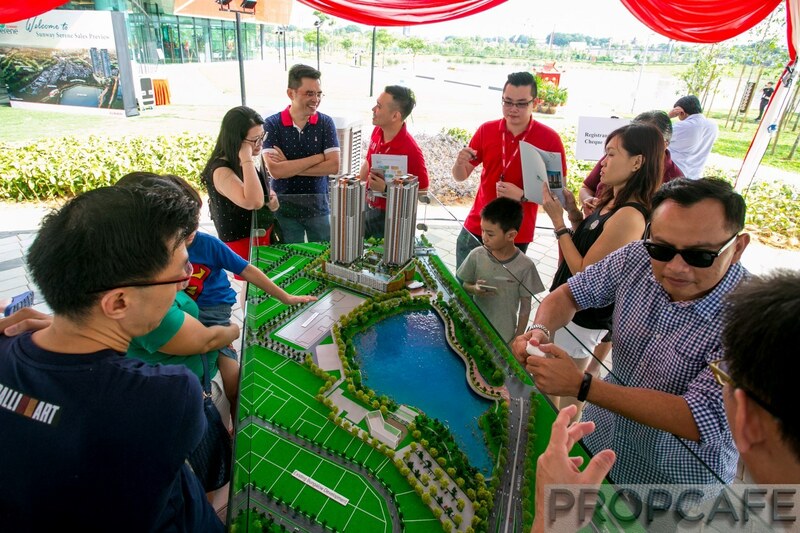 To celebrate the completion of the community works and to honour the placemaking philosophy, Sunway Property had created a number of community events which had gathered crowds to the recently beautified lake, which was undertaken as a community service project by Sunway Property. 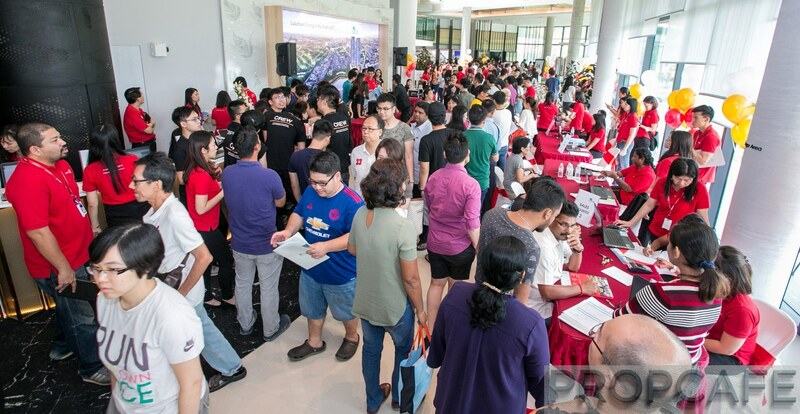 The first was the PJ Festival, which ran for two dazzling evenings, had attracted members of the community who flocked to the free-for-public festival to enjoy the serene lakeside atmosphere which also doubled up at a prelude to the tranquil lakeside living which will be afforded to the Sunway Serene development. Following that, in conjunction with the Mid-Autumn Festival, Sunway Property also organised a Mid-Autumn Get-Together by the lake where a joyous evening of fun festivities and excitement. The Mid-Autumn Get-Together saw the community celebrate the spirit of togetherness by the lakeside. Filled with activities such as dough doll making, dragon beard demos and giveaways, game booths, lantern riddles, a Chang-eBeder appearance, and lantern giveaways, the hundreds of families where. The highlights of the evening were a glowing dragon dance performance, cultural dance performance and a mooncake and lantern workshop. Both events attracted more than 5,000 people. You didn’t mentioned the project is smacked right next to western digital and NXP semiconductor factory on one side, right in front the most congested stretch of LDP on another side and also facing the golf course on the best side. All potential health hazards. Hi Ms. Kuan, thank you for your valuable information sharing here. Looking at the vast facilities, the maintenance fee, at RM0.26 psf is definitely not sustainable in the long run and they might increase it once handed back to the resident’s association.